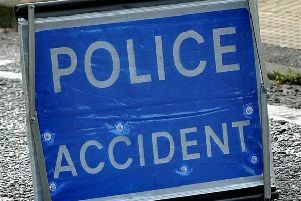 Fire crews were called to a crash on the A283 at Steyning on Saturday evening. A West Sussex Fire and Rescue Service representative said they were called to a crash involving a car and two minibuese at 11.13pm. Fire service logs say they arrived to find that 14 people had left their vehicles safely - no-one was trapped. As a precaution, firefighters inspected the vehicles at the scene, and the incident was reported as dealt with at midnight.